Tonight on “After Paradise” – it’s been 28 days… exactly four weeks… since the Camp Fire started. Tonight we’ll hear from a local legend in Magalia. Jaki’s Hilltop Café survived the fire, but Jaki Snead’s house did not. She’s still pondering what the future holds. Plus a commentary from a fire survivor who’s taken to calling himself a “climate change refugee.” And a woman who lived through Hurricanes Katrina AND Harvey shares her thoughts on recovery, and the importance of asking for help. Don't forget, we want to hear YOUR questions and comments. Leave a message for us at 530-433-4887 or on our website. 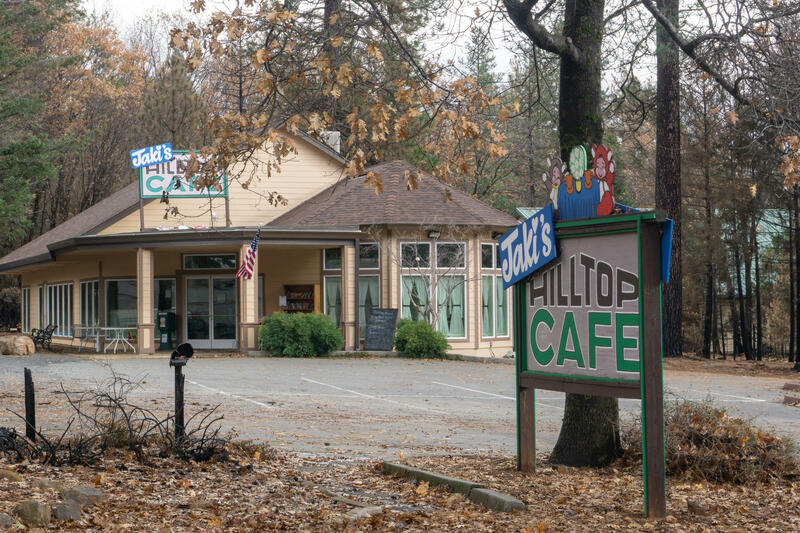 Jaki's Hilltop Cafe in Magalia, Calif.